G-Cube is one of the fastest growing organizations in Asia Pacific (6 consecutive Deloitte Asia-Pacific Fast 500 Awards) which offers complete learning technology solutions under one roof. Its holistic solutions range from learning consulting, custom content development, mobile learning solutions, game based learning, social learning solutions, translation and localization (60+ languages). G-Cube’s award winning WiZDOM LMS is offered in three variants – WiZDOM Enterprise, WiZDOM Training & WiZDOM Cloud (delivered on private cloud). 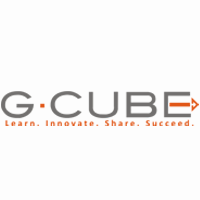 G-Cube is known for its thought leadership in learning technology space contributing several innovations in e-Learning Industry like Gaming Console based learning solutions using Kinect; first HTML 5 based LMS to address multi-device challenges, introducing Adaptive Learning in corporate space. Our latest innovation is to introduce IVR based learning solutions for blue collared workforce. G-Cube has won 50+ awards in last 5 years. Organizations that strive for learner engagement, visually appealing content, and can afford highly interactive learning solutions choose G-Cube as its partner. Our multi-skilled team then mingles expertise in popular development tools with the latest in technology to create e-learning courses that are interactive and impactful. Be it a stand-alone training course or an extended program, we provide services customized as per your needs. G-Cube creates custom learning content as per specific e-learning needs in collaboration with subject-matter experts and experienced content development professionals – all within stipulated timelines and budgets. We blend appropriate strategies and technologies to provide business solutions. Based on an organizations' need, one can on-board us at any stage - e-Learning Design, Courses Development and Learning Delivery. We understand the changing business environments and strategize to create learning solutions to fit varying training budgets as well. We have dedicated resources and experts who can liaison with clients and SMEs to extract pertinent information and convert them into innovative learning solutions. Discover the Solutions G-Cube has to offer. Read reviews and discover other eLearning Industry community members's experience with G-Cube.